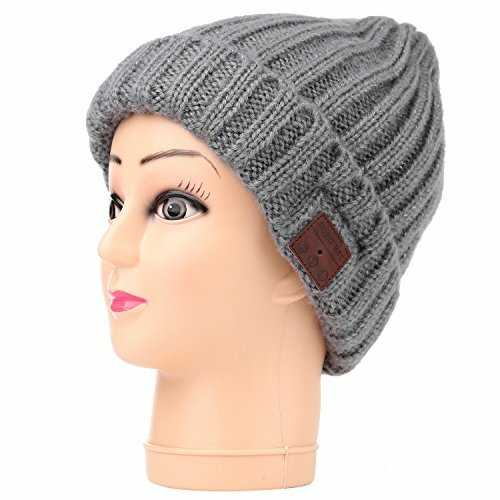 Style and Tech Combine: Soft double knitted beanie, keep your head warm and keep the sound track to your life playing all the time. 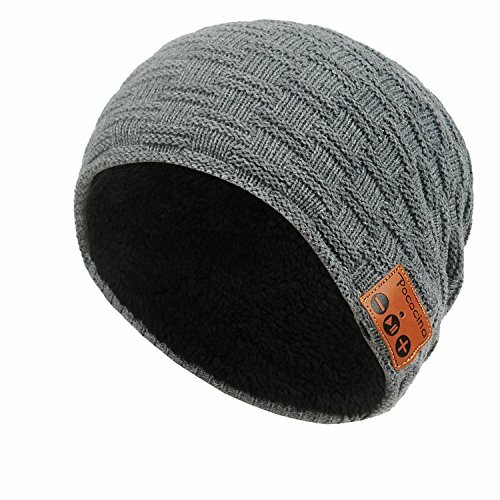 Perfect for traveling, waiting for the bus, walking your dogs, jogging in the cold or just rocking out in your bedroom. Easy to Operate: Hookes up directly by V4.2 bluetooth technology. Easy and fast to pair with smartphones, tablets and other Bluetooth enabled music devices, in seconds to make/answer phone call. Notice: Please full charge it with the attached USB cable before first use. 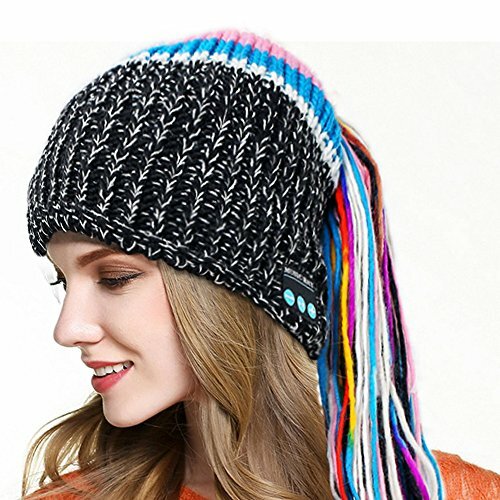 Specifications: ♦Color: Black/White/Pink/Blue ♦Material: Knitting ♦Bluetooth version: V4.2 ♦Transmission distance: 10M/32.80ft ♦Transmission distance of Mic: ≤1M / 3.28ft ♦Li-ion battery: 3.7V/180mA ♦Charging time: 2 hours ♦Number of charge: > 1000 times ♦Charging voltage: DC 5V ♦Standby time: 30 hours or so ♦Continuous working time: about 4 hours ♦Size: One size fits most ♦Weight: 175g Package includes: 1 x Bluetooth Beanie Hat 1 x USB Charging Cable 1 x User Manual Welcome to our store, may you have a pleasant shopping experience! If you have any problems about our products, please feel free to contact us at any time, we will try our best to help you, thanks in advance! 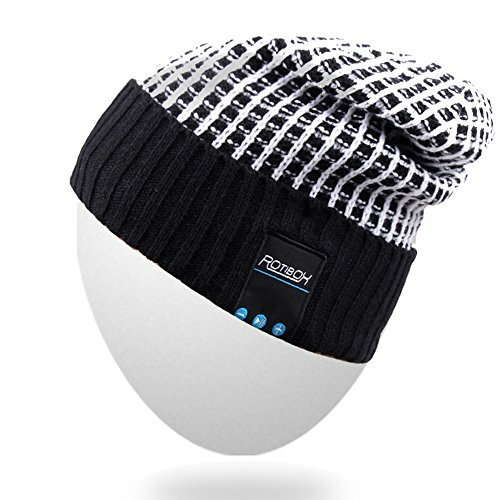 Kindly reminder: 1.The music Bluetooth hat is designed to be reused and it is washable. Therefor the icon panel on the hat is not fixed to the buttons. If you the icons do not match the control buttons, please manually adjust them. 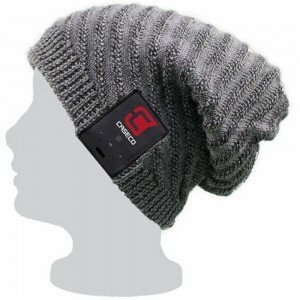 2.Before you start using the beanie headphones,kindly please use attached USB cable to charge it first. 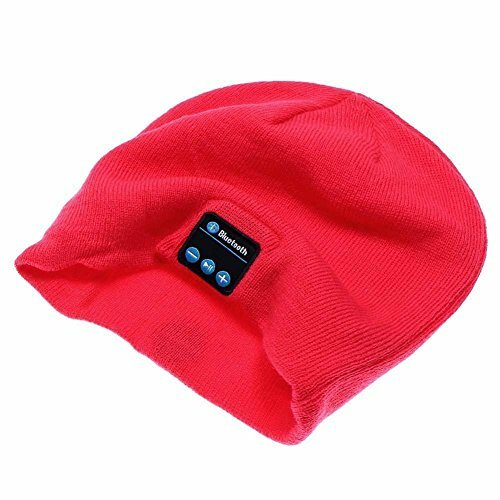 3.Pairing: kindly pls long press the ON/OFF button till the blue and red indicator light flashing alternatively,then the bluetooth headphones beanie will enter into pairing mode automatically4.When you think the volume is low for music, pls long press the '+' or '-' to change the volume. Specifications: 1. 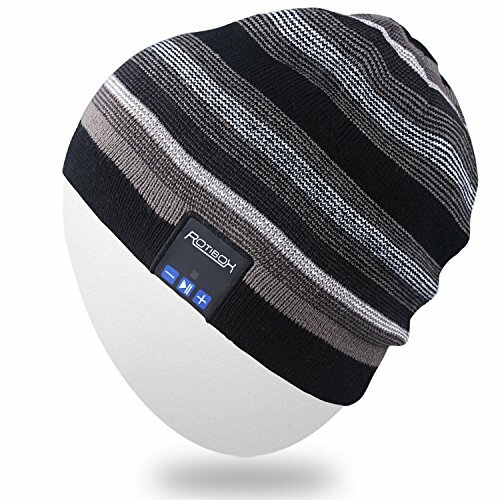 Meterial: Elastic knitted 2.Bluetooth version: V3.0+EDR 3.Frequency: 2.4026GHz-2.480GHz 4.Transmission distance: 10M / 32.80ft 5.Transmission distance of Mic: ≤1M / 3.28ft 6.Li-ion battery: 3.7V/160mA 7.Charging time: 3-8 hours 8.Standby time: 60 hours or so 9.Continuous working time: about 3.5 hours 10.Item weight: 87g / 3.05oz User tips: 1.The music Bluetooth hat is designed to be reused and it is washable. 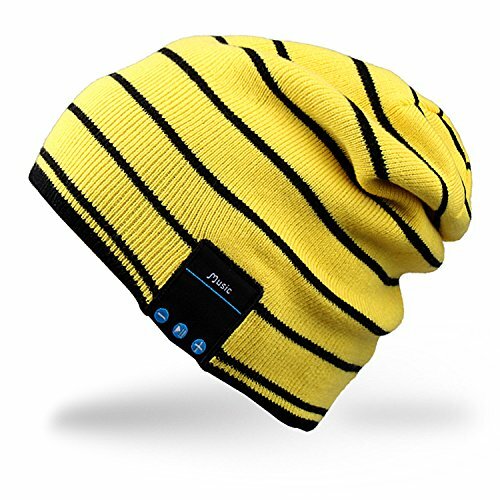 You might have to manually adjust the hat to find the Micro USB charging port because the Bluetooth hat is washable.. 2.Make sure you enable both call audio and media audio on your Bluetooth set up menu on your phone. 3.Please put out the earphone before washing. 4.Please do not disasseemble,amend or alter device alone. 5.Please keep the device dry. 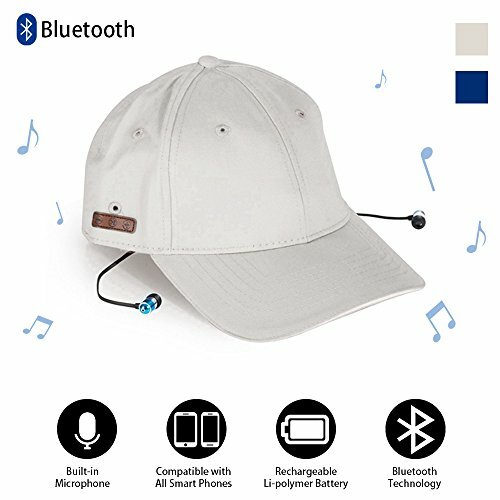 Package includes: 1 x Onedayshop Bluetooth Music Hat 1 x Instruction Manual 1 x Charging Cable Our products have been tested, if any problem, please contact us at the first time so that we can supply the best service for you. 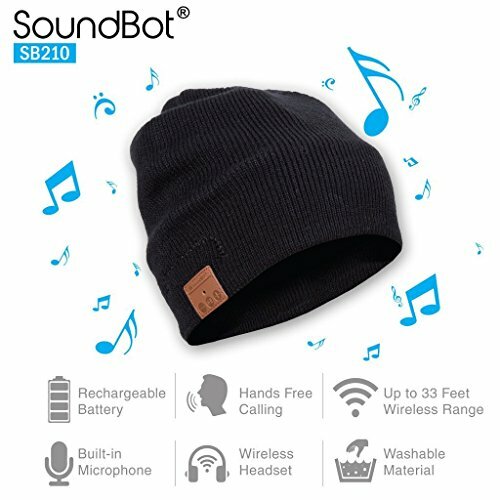 Compare prices on Headphones Hat Wireless Call at ShoppinGent.com – use promo codes and coupons for best offers and deals. Start smart buying with ShoppinGent.com right now and choose your golden price on every purchase.